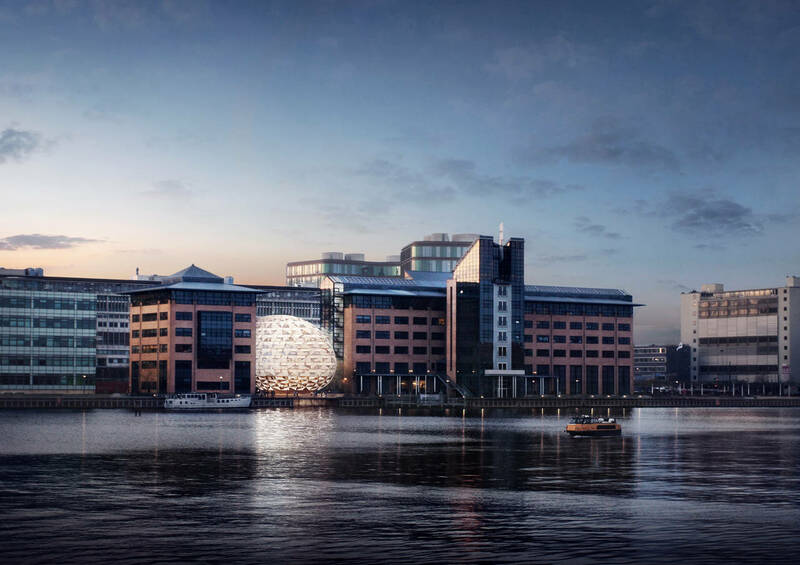 The Danish firm Dorte Mandrup Arkitekter has won the competition to design an extension to the existing headquarters of The Danish Society of Engineers, IDA. 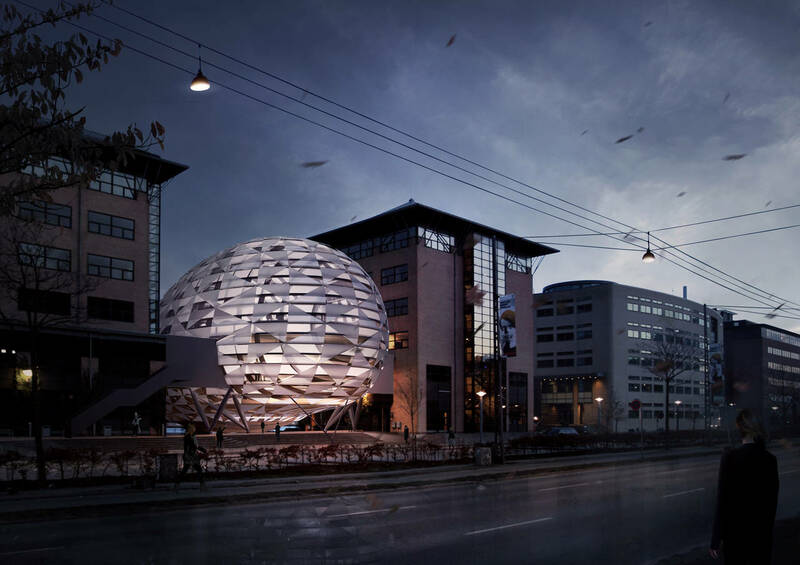 “The Opal”, so the building was named for its shape resembling an oval gemstone that reverberates all colours of the spectrum, will be a new landmark in the harbour of Copenhagen thanks to the color effects when the water will be reflected in his facade and through the lights projected from the facade itself. The structure is a trial of advanced technology and a catalyst of attention to people passing nearby. Furthermore, a conference hall and a restaurant will be provided in the building, so it will also be lived in by locals and passers-by. The main attraction is the facade, the "business card" of The Opal. 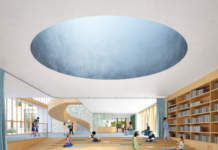 The lighting design reflects the visionary design developed by Dorte Mandrup Arkitekter and engineers from Søren Jensen Rådgivende Ingeniører. The competition brief for the extension of IDA headquarters requested the need to show through the building the futuristic engineering possibilities obtainable with contemporary means. The close cooperation between Dorte Mandrup Arkitekter and the engineers allows the building to rest on just four V columns made of steel, so you have the impression of the building waving, as if gravity doesn’t exist in that portion of the Earth's surface. The triangular elements used for the facade cladding follow an alternation of transparent and opaque finishings. There is also a technical textile covering that incorporates LED lights to allow for a spectacular vision of the building during the night. 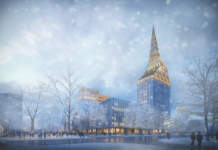 Quoting a part of the jury report: "The proposal offers a unique architectural approach for creating a visionary and distinctive new landmark for IDA's headquarters. The building will become a focal point for illustrating the symbiosis between the art of engineering and architecture. Both IDA and Copenhagen will benefit greatly from the beautiful new addition".